Do you know what makes a weekend a great weekend? Food. Do you know what makes a great weekend an even better weekend? Enjoying delicious food in Loudoun! 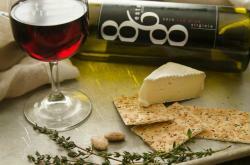 Whether you are taking a cooking class at Briar Patch Bed & Breakfast, drinking beer with local paella at Old Ox Brewery or enjoying a vertical wine tasting while tasting some local cheeses and charcuterie at 868 Estate Vineyards, you will be immersed in Loudoun&apos;s culinary scene this weekend. 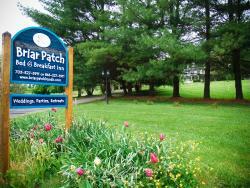 Plan a last-minute Loudoun getaway at Briar Patch Bed & Breakfast for their Cooking Class weekends which feature a 2-night stay at the inn with breakfast each morning, a local wine tasting Friday night and a cooking class demonstration on Saturday night! This weekend&apos;s cooking class weekend will feature Chef Ray Ellis and you will learn how to prepare 4-5 course gourmet meals while enjoying some local vino, of course. This is sure to be a unique and fun experience so make your reservations now. There&apos;s a lot going on at Old Ox Brewery on the LoCo Ale Trail this weekend. First, they are releasing a great new beer called Hoppier Place Galaxy. This double IPA has been uniquely brewed to coax out aroma without imparting bitterness--then dry hopped extravagantly for an over-the-top hop experience. 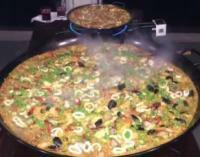 Old Ox is also hosting PaellaDeliciosa serving delicious paella made with either shrimp or sausage and chicken. Don&apos;t forget about the live music too. Obviously, we will see you there. 868 Estate Vineyards blew off the dust on some bottles in the cellar and were delighted to find vintages of their Altezza wine which their winemaker creates each year using Nebbiolo and other red varietals. Enjoy delicious local cheese, appetizers and charcuterie in an inviting atmosphere as Winemaker Carl DiManno guides you through tasting four different Altezza wines and tell the story of how it has aged over the past several years. Seating for this intimate event is limited so make your reservation today!